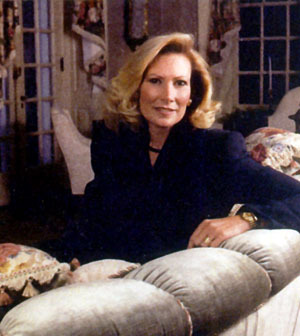 Patricia Cove, Principal of Patricia Marian Cove, Architectural Interiors and Design, holds an undergraduate degree in communications and art history, and graduate degrees in educational psychology and architectural history. Established in 1984, the firm has completed projects in the residential, commercial, and institutional realms. As an educator, Patricia Cove is creator and coordinator of the certificate program in Interior Design at Philadelphia College of Textiles and Science, now, Philadelphia University. She also lectures to architectural and historically based organizations on the decorative arts in design. As a speaker and presenter at the ASID National Convention, she presented the CEO course entitled The Preservation/Design Connection, which addresses the relationship between interior design and historically significant interiors. She has appeared on "Good Morning America" as part of a week-long series on home improvement. Patricia has served as President and Vice President of the Chestnut Hill Historical Society, and was part of a team that developed and now implements the Germantown Ave. Urban Design Guidelines, a set of recommendations put forth to maintain the village atmosphere of Chestnut Hill, a National Historic District. She now has a seat on the Design Review Committee, which assists in the planning and design of new and renovated development projects in Chestnut Hill. As a writer, Patricia contributes articles on design and decorative arts to the Chestnut Hill Local, and has been published in The ASID Report, Window and Wall Magazine, Philadelphia Lifestyle, and the ASID Newsletter, Interior Perspectives. She was awarded "The Chestnut Hill Award" in 2006 for unusual and outstanding service which promoted understanding and cooperation among people and groups within the community.